The South African and Zambia honeymoon is perfect for the couple looking to be alone and pampering after many months of hectic wedding planning. In South Africa, honeymoons can be spent many beautiful and classic accommodations, so the only decision newlyweds need to make is whether to stay in one place or several - by choosing one of these five romantic honeymoon accommodations options in South Africa. Singita Boulders has a contemporary African ambience with strong Eastern influences and extensive use of glass. The public areas are open to the bush and showcase the best in modern African décor. You can enjoy wrap-around views from most parts of the lodge, and the lookout deck offers the perfect spot from which to observe wildlife drawn to the Sand River. The Simbavati Hilltop Lodge offers a pure African safari, and comprises of individual pavilion-style luxury tents, arranged to create a unique village feel. The couple can enjoy magnificent views of the bush - the Nhlaralumi River and the distant foothills of the Drakensberg Mountain Range. Simbavati takes its name from the local Shangaan language, means “the place where the lions come down from the stars” - a reference to the magnificent, world-famous white lions found in Timbavati. 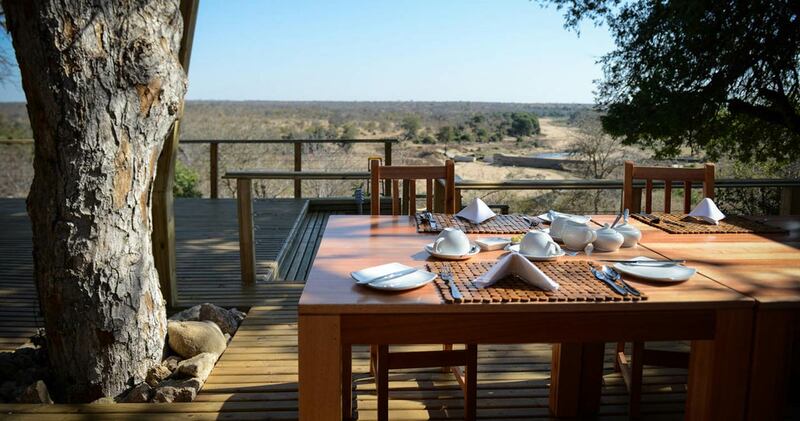 Expect exceptional game viewing within the land of over 12,000 hectares of unspoilt wilderness. Garonga Safari Lodge is a unique, intimate and classic safari bush lodges. Situated in the 22,000 hectares Makalali Game Reserve, which is located just west of the world-renowned Kruger National Park. Activities include; game drives, bush walks, sleep-outs, outdoor bush-baths and aromatherapy as well as reflexology sessions. However, at Garonga, the idea is to allow guests to indulge in individually selected activities that will enhance their personal encounters. 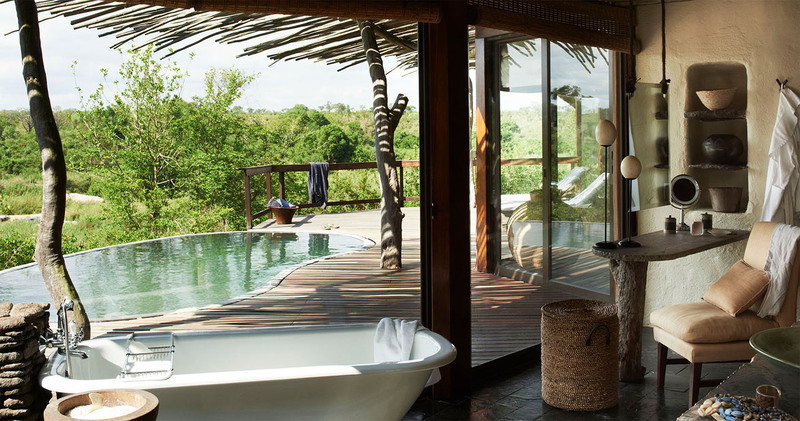 Located in the subtropical northern KwaZulu-Natal, the lodge has a unique glass sided to a wonderful open outlook into the forest, where you can enjoy a wonderful South African safari experience during your honeymoon at Phinda Forest Lodge - in the wildlife diverse, Phinda Private Game Reserve. The lodge has stunning views over the wetland pan and offers numerous game viewing activities such as guided game drives and nature walks as well as exciting rhino tracking excursions. Other activities include exploring the waterways on canoe and motorboat cruises. Thanda Safari Lodge is set within a 14,000 hectare Big Five private game reserve and offers visitors the opportunity to experience the sumptuous accommodation. Activities include game drives, bush walks, boat trips on the St. Lucia estuary, diving, fishing, horse riding on the beaches and whale watching. The lodge focuses heavily on preservation of the natural surroundings, as well as supporting the surrounding communities. A stay here offers guests the chance to learn all about the rich Zulu history and tradition. Tailor-make your own romantic safari. Simply contact one of our travel experts and they'll make it happen!